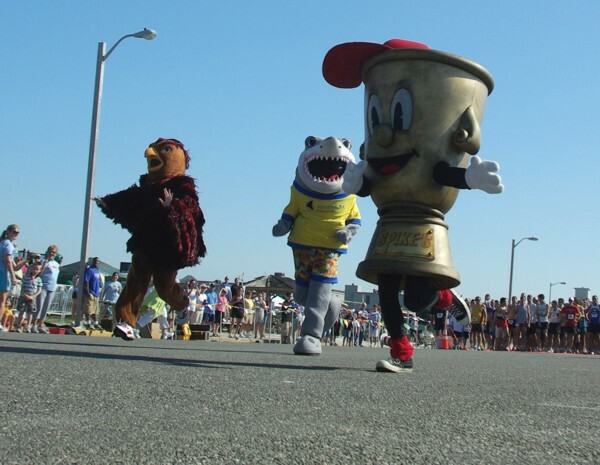 This past Sunday June 28th Spike the Mascot was spotted participating and supporting the inaugural Jaws Youth Fund Fitness Festival & 5K in Stone Harbor, NJ. It was an amazing day full of energy, excitement and sunshine! “The Fitness Festival is an action-packed day that emphasizes the importance of physical activity and healthy choices for people of all ages,” said ESPN’s Monday Night Football Analyst and former NFL Eagles great Ron Jaworski, co-founder of the event. 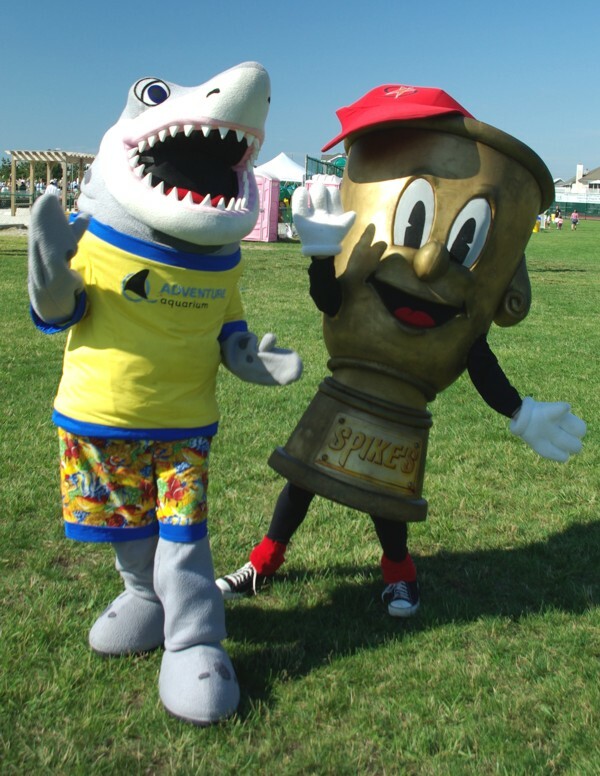 There were nearly 700 participants in the 5K and even larger festival crowds, all of whom helped Jaws Youth Fund to raise important funds. All the proceeds after event expenses go directly to the Jaws Youth Fund and the programs and kids that the fund supports. 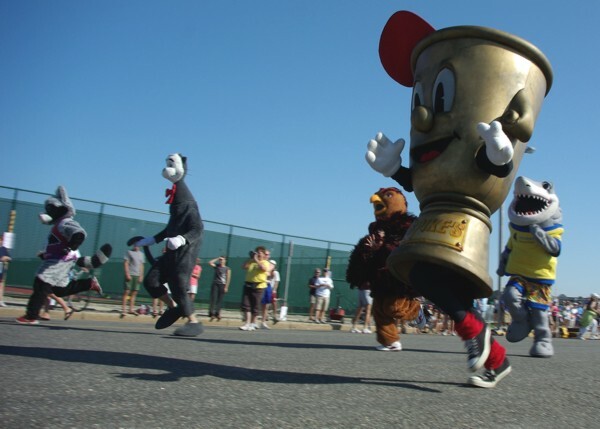 Check out Spike running the race with some of his good friends! This entry was posted in Uncategorized on July 1, 2009 by Spike's Trophies.